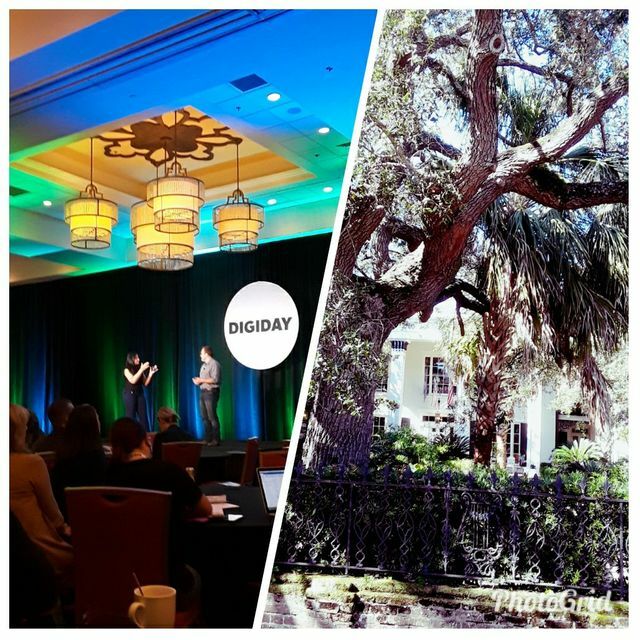 Last week, agencies large and small, from full-service to niche, assembled in Charleston, SC to discuss the state of the agency. And, I am excited to have been part of this discussion. We need to build trust through transparency! Now, while these themes were indeed central to the big lectures and discussions throughout the event, I had 3 AHA! moments that took shape during smaller discussions with fellow agency professionals; by weaving together smaller, subtle points made by different speakers. The resulting themes all have one thing in common: a fundamental call to question the status quo. For a long time, agencies have focused on specializing, becoming experts. No question, our clients seek us out and pay us for our expertise and knowledge in marketing, digital, media, or creative; or all of the above. They need strong partners that can guide them through the labyrinth of digital developments, platforms, and channels. So, as agencies we have taken great care in building disciplines and processes to fulfill these demands - timely, quickly, efficiently, correctly. But, have we actually put ourselves in a box as creatives? Have we stifled free thinking, relying on best practices (the tried and true) to ensure success? Can we truly provide innovative ways of serving clients and audiences if we adhere to process? The answer is not to throw discipline and process completely out the window. That is not what I am advocating for. But, dare to be weird on a daily basis. Don't take anything about your discipline or process for granted or set in stone. Bring one weird idea to the table every day. Discuss it internally, with your clients, see where it takes you. You will be surprised. Talent recruitment and talent management was a red thread throughout conversations. Because, how can you build a modern agency without the right talent!? The answer: Talent Revolution! One of my fellow agency participants posed the interesting questions: What if we stopped looking for talent to be the right fit for a full-time, permanent position? What if we structured talent employment like athletic talent contracts? Ad hoc and temporary. Every company, not just agencies, knows that talent will move on; that sometimes the greatest talent on hand is not the skill set you need in that moment. So why not source the right talent for what you need, in the moment you need it, for how long you need it? While after careful debate and consideration, I don't believe that this approach is completely right for agencies, where we need to establish deep connections, build long-lasting relationship, and gain trust, it opened my thinking on talent as fluid not fixed. We need to find ways of bringing our talent with us on the agency journey; make the future their own. So they stay; evolve. And, we need to know when we do need to look outside of our own environment for the right craftsman or craftswoman. #3 AHA! : Break your reliance on targeting! A fellow conference participant stated (paraphrased from my notes): "We focus too much on targeting. We are too concerned with the right message, at the right time, to the right person. Have you ever considered who we are leaving out?" This statement was rather thought provoking and shock me awake. Why? Because I am a big proponent of targeting. I look to research of all sorts - behavioral economics, demographics, psychographics, purchase data, channel usage, etc. - to help me build a picture of my audience; who am I talking to; what do they need; and where can I reach them. All that was supposed to be wrong? But, I realized, that at the core, this statement was less about the validity of targeting, and more about how we prioritize targeting over making emotional connections with audiences. Targeting leads us to believe that audiences are made up of rational people, when, in fact, it is about emotional resonance. It is about establishing deep connections between a brand and the audience - and this does not happen on a rational level. So, when you work on your targeting, dig deeper. Discover the emotional truth for your audience and create a picture of that truth for them that they can connect with. Dream of. Long for. Make a desire, wish, or fantasy come true. In summary, to future proof agencies, to grow and thrive, it is important to question what you think you know to be true about agencies, talent, and what we deliver for brands and their audiences. Never be complacent.